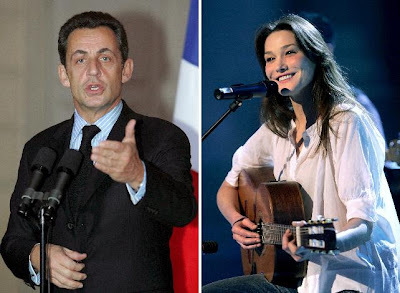 The French president has a new girlfriend now. Her name is Carla Bruni, an x-model and now singer-composer. She is 39 years old. I thought this president has too many thing in his agenda that after the divorce, he will stay single and focus on his career. I forgot he is still a man and need a pretty woman to be on his side.